1-CD with 8-page booklet, 10 single tracks, playing time approx. 44 minutes. After the great success of our 8-CD-Edition (BCD 16005) with 148 excerpts from the shows of the INSULANER from 1948 - 1964, here now the original LP of the cabaret troupe re-released on CD, including three bonus tracks! The dirtier Berlin became - the sharper, more glib, more lively the'islanders' became. 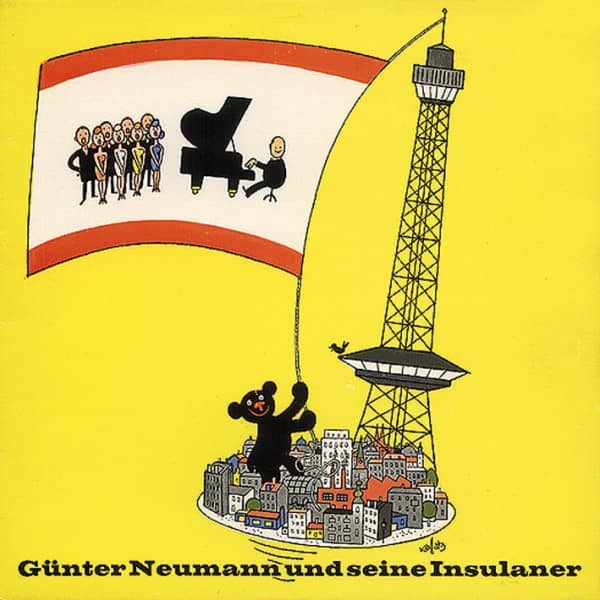 Günter Neumann, the inventor, father and spiritual breadwinner of this acoustic cabaret family, had published a satirical magazine shortly after the war in Berlin:'Der Insulaner'. When the currency reform came, money became scarce and completely uncollectible in the blockade Berlin paper, he retrained the figures, which had previously existed in printing ink, from legibility to audibility. He walked over the air with them. He created a small, smart, aggressive, good-humored, monthly, extraordinarily Berlin radio show at RIAS, in which various figures of Berlinic appeared, and in which he made the most bitter politics with a wink, criticism of time, with the superiority of the satirist and the laughing sovereignty of the real humorist. The German world had never heard anything like this before. What Neumann, as a composer as creative as he was at the typewriter, was new. He stands up to a handful of fixed, recurring figures: the gossips in the middle of the Kurfürstendamm, the telephoning Mr. Kummer, the Pankow trainer and'Funkzenär'. There was a place in each of these radio broadcasts for the cheeky or admonishing political chanson. There was the current, musically and lyrically inventive Quod-libet, in which he hotly underlined current events with musical quotations that a double fun arose from it. As a tag at the beginning: the island song, in which the world-political Robinsons hope that their'island' will become a beautiful mainland again; and as a conclusion and brisk bouncer the latest verses to the optimistic and self-confident refrain: Seh'n Se, das ist Berlin! The whole thing is indeed the best Berlin. 04 Wie wird man ein Star? The dirtier Berlin was - the sharper, more quick-witted, more lively the 'islanders' became. 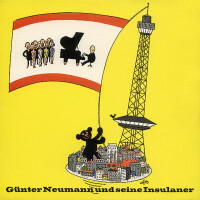 Günter Neumann, the inventor, father and spiritual breadwinner of this acoustic cabaret family, had published a satirical magazine shortly after the war in Berlin: 'Der Insulaner'. When the currency reform came, money became scarce and in the blockade Berlin paper became completely unrecoverable, he retrained the figures, which had previously consisted of printing ink, from legibility to audibility. He crossed the airwaves with them. He formed a small, smart, aggressive, cheerful, monthly, uncommonly Berlin radio show in RIAS, in which various Berlin characters appeared, and in which he made bitterly serious politics with a wink, time criticism, with the superiority of the satirist and the laughing sovereignty of the real humorist. The German world had actually not heard anything like this before. What Neumann did as creatively as he did on the typewriter was new. He stands up for a handful of solid, recurring figures: the gossips in the middle of Kurfürstendamm, Mr. Kummer on the phone, the Pankow trainer and 'Funkzenär'. In each of these radio broadcasts there was a place for the saucy or warning political chanson. There was the current Quod-libet, rich in musical as well as lyrical inventiveness, in which he underlined the hot current with musical quotations, that a double fun arose from it. As an identification mark at the beginning: the islanders' song, in which the world political Robinsons hope that their 'island' will again become 'a beautiful mainland'; and as a final point and speedy bouncer the newest verses to the optimistic and self-confident refrain: See'n Se, that's Berlin! The whole thing is actually best Berlin. For ten years, the good mood of this island family has promptly spread over the ether into millions of houses. The characteristic and at the same time unique thing about it: this remained one of the very few all-German amusements and back reinforcements. The 'Islanders' were heard from West Berlin not only on the spot and later increasingly in West Germany, - it was much more important and productive that behind the Elbe, in the shadow of the Iron Curtain, one pricked up one's ears in almost every house when a new islanders broadcast became due. The figures in this prompt listening show, their current twists, their revealing formulations, their scratchy wit and their devastating imprints, their whole optimistic Wuppdich have done not little to open their eyes, to let people who certainly had little reason to laugh otherwise see laughing truths, to encourage them and to spread a good mood among them in an otherwise bitterly gloomy part of Germany as a kind of political issue. In this respect the 'islanders' in the ten years that they have now spent driving their human-musical-current being have a meaning that goes far beyond what is commonly referred to as 'cabaret'. Neumann and his cheerful troupe always stayed hard on the ball. They're going left and right, west and east. Often enough, Neumann has already processed, glossed and summarized in the evening what happened in the morning in his lyrics and music. The 'islanders' always remained fresh from the newspaper. Grünspan couldn't even get her punch lines started. You referred directly and quickly to the latest, the most current. Wherever it burned, they were there as a kind of fire brigade of common sense. Wherever a soup was publicly cooked, they added their mustard. Most of the time they made them tasty, spicy and edible. What the fathers of the 'Brettels' in Germany, the Wolzogen, Wedekind, Nelson, Holländer and Tucholsky, only dreamed of, Günter Neumann has succeeded. He has turned cabaret into a real art form, a clever instrument for forming opinions, a practicable, unmistakable voice of the present. He practiced serious laughing. He made his lessons - a kind of doubly gifted schoolmaster and owl mirror - so tasty that whole masses of listeners became insulaner addicts. The figures that he coined there in varying recurrences are all imaginary urban appearances; they have become fixed types - like once Nante, the Berlin corner man or the legendary cobbler's boy, who still had green behind his ears, but therefore had it all the thicker behind them. 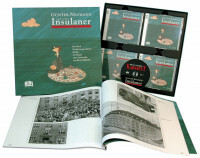 Customer evaluation for "Günter Neumann und seine Insulaner"